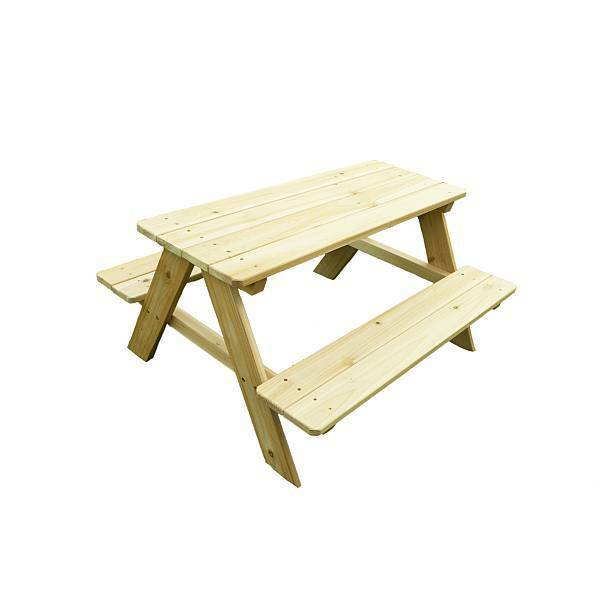 The Kid's Picnic Table is a classic, mini version of an adult wooden picnic table. It is perfect for the backyard, around the pool, or for family picnics and parties. It is constructed of fir wood with an oil-based stain. 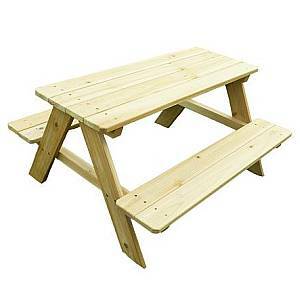 Your children will love being at the "kids table" with this great picnic table!